Why wait for Access Linux or a garden-variety consortium to come to market, when Trolltech's got us covered right now with their Qtopia smartphone platform? 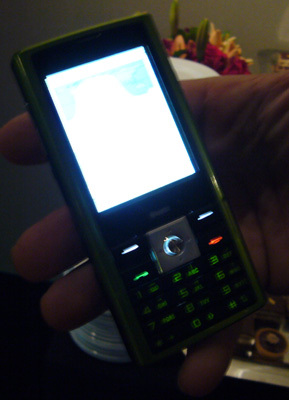 Of course, devices running Qtopia have been few and far between, and unless you're willing to hit up France for one of your own, tracking down a handset is likely an exercise in futility. Trolltech has been feeling your pain and looks to introduce their "Greenphone" as part of several software development kits they'll be offering starting next month. We had a chance to hit up their launch event last night and snapped a couple shots (our apologies for the quality) and we have to admit, even though this thing is targeted squarely at Qtopia developers, it could just as well be decent looking handset for the masses. 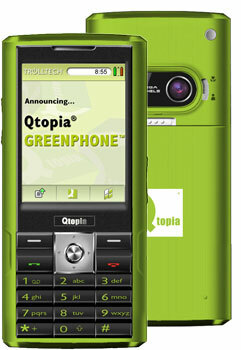 The quadband GSM / GPRS Greenphone includes Bluetooth, 64MB of RAM, 128MB of ROM with a miniSD slot for expansion, and a QVGA touchscreen sitting atop a 317MHz XScale; we're even digging the ecto-green exterior. Interested parties best be on their toes -- the phone won't be offered alone, and SDK packages will be available in strictly limited quantities.